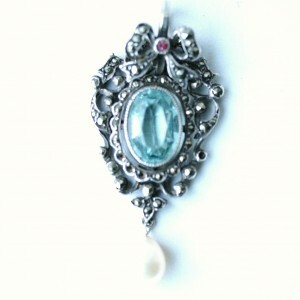 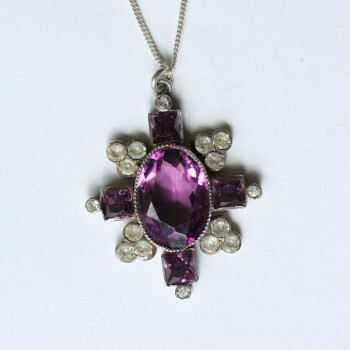 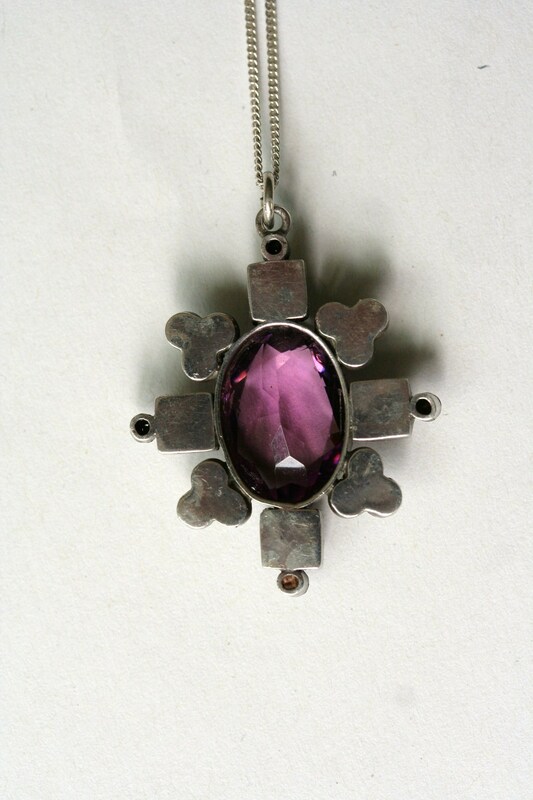 SOLDSOLD is a stunning Victorian era amethyst paste pendant. 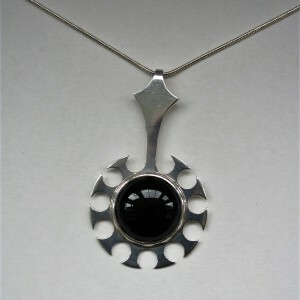 It’s a nice example, with its symmetrical design. 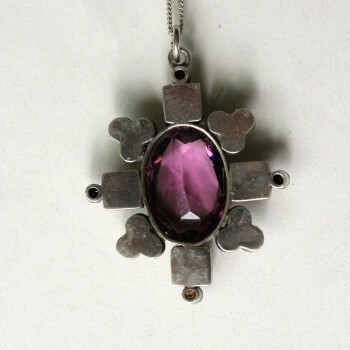 The back of the pendant is partially closed, with the central larger stone left open backed to give great depth and colour. 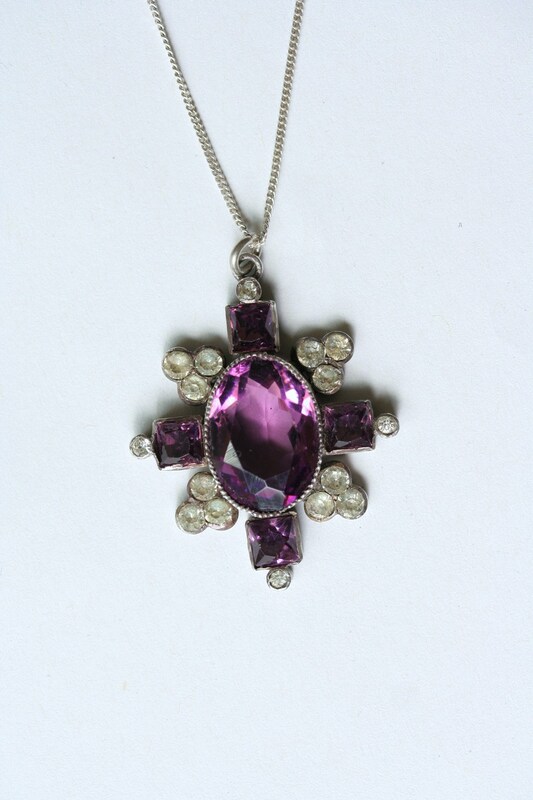 Measurements: approx 4cm total height x just under 3cm width.